Mick Schumacher, son of multiple Formula 1 champion Michael Schumacher, got his first taste of a Formula 1 car recently at the Bahrain International Circuit. 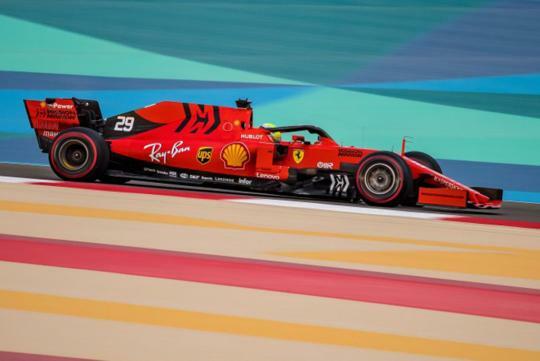 As reported by BBC Sport, the 20-year old Schumacher drove Ferrari’s 2019 car, the SF90, throughout the day and set the second fastest lap, being beaten only by Red Bull Racing’s Max Verstappen. He did a total of 56 laps and set a best time of 1 minute 29.976 seconds on the softest and fastest tires available. In comparison, he was 2.11 seconds slower than Charles Leclerc's pole position time on Saturday. “I really enjoyed today. It felt like home in the garage from the very first moment with a lot of people that know me since I was very young. Schumacher also made his Formula Two debut at the same circuit over the weekend and got to drive Alfa Romeo’s 2019 car during the third day of Bahrain testing.